ANYTHING AUSTRALIAN: The Australian Dingo ~~ Native Wild Dog. The Australian Dingo ~~ Native Wild Dog. Although the dingo is typically thought of as the wild dog of Australia, it actually occurs throughout Asia also, though it is widely thought that the origin of the Australian dingo may have been brought about by the introduction of the Asian dogs some 3 to 4 thousand years ago. These beautiful animals range from a red to a golden color and will live in packs of 10 to 12 animals but it is quite common to see young males who have been evicted from the pack to live alone. When dingoes live in packs they will cooperate and bring down larger game, but in times of hardship their main diet will consist of small mammals such as rabbits or small rodents and even insects or frogs. The Asian strain of dingo will also scavenge what they can from humans. 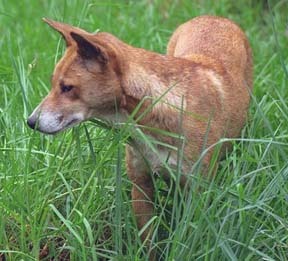 Dingoes are quite numerous throughout Australia, but the pure strain is gradually being diluted. Dingoes can and will breed with domestic dogs and as such a purebred dingo is something that grows increasingly rare. Females breed only once per year and will usually give berth to about 4 to 6 pups. These will be nursed and taught to hunt and become independent of their mother after 6 to 8 months. In Australia they are generally considered to be a pest animal and a “Dingo fence” has been put up to protect the nations population of sheep, but this had led to increased populations of rabbits and kangaroos which in turn compete for the grazing space. 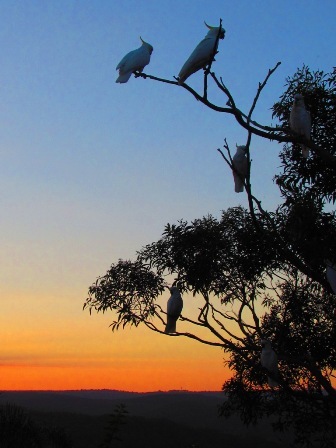 While being a pest to farmers, the aboriginal people have long used them as companion animals and to assist in hunting, herding and guard animals.